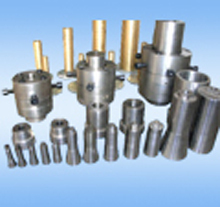 Pipe and hosepipe are the product used extrusion mold process. Cool prototyping provides a variety of extrusion mold related products for engineers. You may send your requirement, or 2D, 3D design to us, we can make extrusion mold exactly as your needs. Most popular material used for extrusion mold is Aluminum and steel.